BMX road trips and junk food just seem to go hand in hand. Whether it’s a stop at your favourite burger spot, falafel spot, or just some candy and energy drinks from the corner store, just about everyone has their vice while on the road. Van Homan may have popularized Wawa in Philly, and California might have their In-N-Out Burgers, but what about Canada? 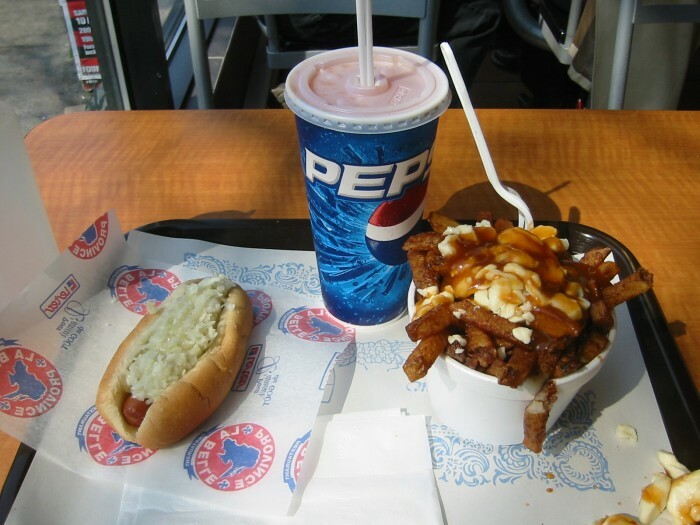 Well if you are anywhere near Montreal you have La Belle Province. Famous for their steamed hot dogs and generous servings of poutine. Whenever I am on a trip from Ottawa to Montreal with friends, it is not complete without a stop at La Belle on the return. 8pm or 3am, it doesn’t matter, a stop is made. Obviously not the healthiest of choices, but it’s become so ritualistic that if we do not stop, something feels off. What are some junk food road trip staples you and your friends indulge in around your area or on the road? Let us hear them at NorthernEmbassy@gmail.com.